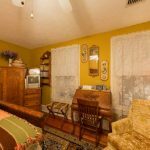 This room is called the gold room because it is furnished with antique golden oak furniture. 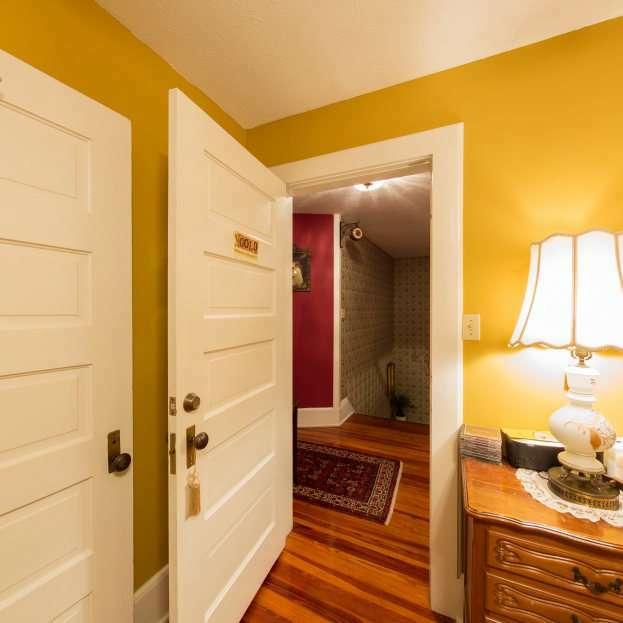 The walls and fabrics are also shades of yellow gold that match the golden oak furniture very well. 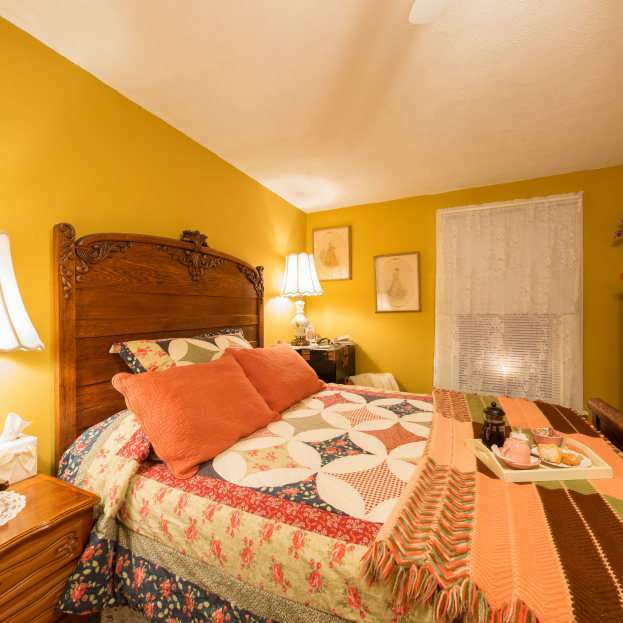 The bed is an adjustable antique queen-sized bed. There is a matching armoire with a small mirror, an area to hang clothes and several drawers. 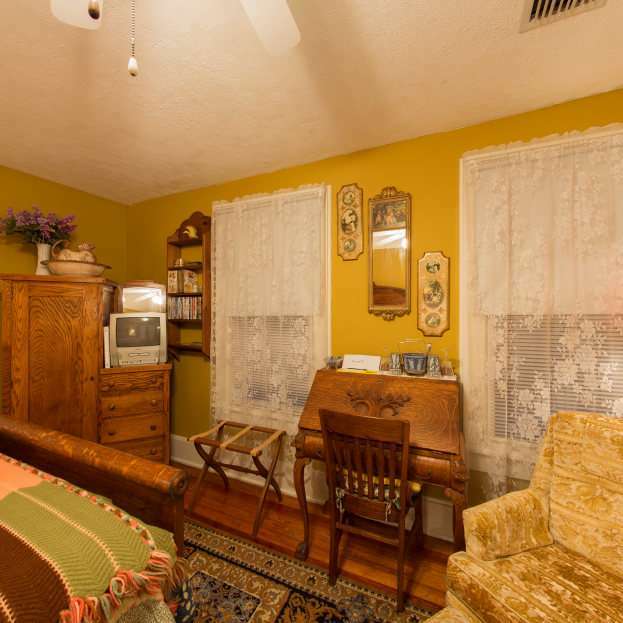 The room is rounded out with a drop-down desk and two upholstered chairs. 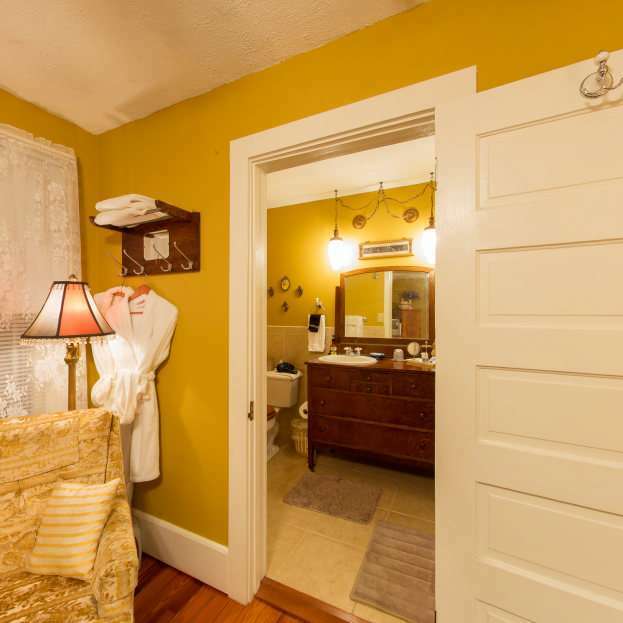 The bathroom has a large shower and the sink is in an antique cabinet that was previously a golden oak dresser. The room is located at the top of the stairs and to the front of the main house and provides a nice view of the front yard.